At work, we embrace something called the 5 Rocks work plan which is designed to simplify a person’s main goals. The idea behind it is that if you have a bucket and are given five big rocks and hundreds of small ones, the only way you can fit them all in is to insert the 5 big rocks (priorities) first and let the smaller rocks fill in the leftover space. We all know that the little rocks far outnumber the big rocks in life, but that’s beside the point. For ailsapm’s “Stone” theme this week, I decided to look at 5 Big Rocks I’ve gone to see and let you know how they stacked up in terms of whether they should be a travel priority. American children spend their 4th grade year learning about the 13 original colonies, the Mayflower, and the pilgrims. We’re told again and again that the pilgrims landed at Plymouth Rock. So on a trip to Cape Cod, Massachusetts, we veered off to Plymouth to see the Rock. What a disappointment. Honestly, I wondered if this was some kind of joke. The pilgrims landed here?? It’s not a very big rock, and not all that flat either. Why in the world would the pilgrims disembark the Mayflower and step onto this rock? I learned that it is only half its original size, but that didn’t make much difference to me. If you go see it, know that you can’t get very close. It’s fenced on all four sides beneath a shelter. It’s free, but don’t go out of your way to see this rock. 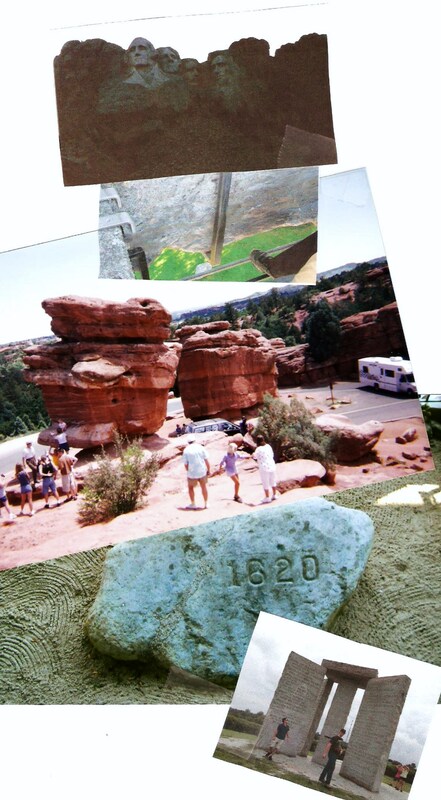 Do make a special trip to see this rock. 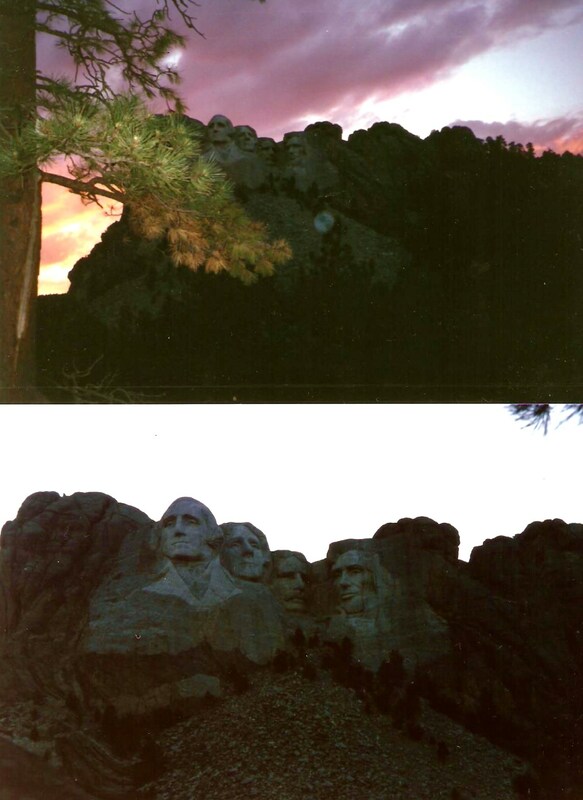 It is every bit as majestic as you expect it to be, and there is plenty to do in the Keystone, South Dakota area afterward, so make a week-long trip of it. 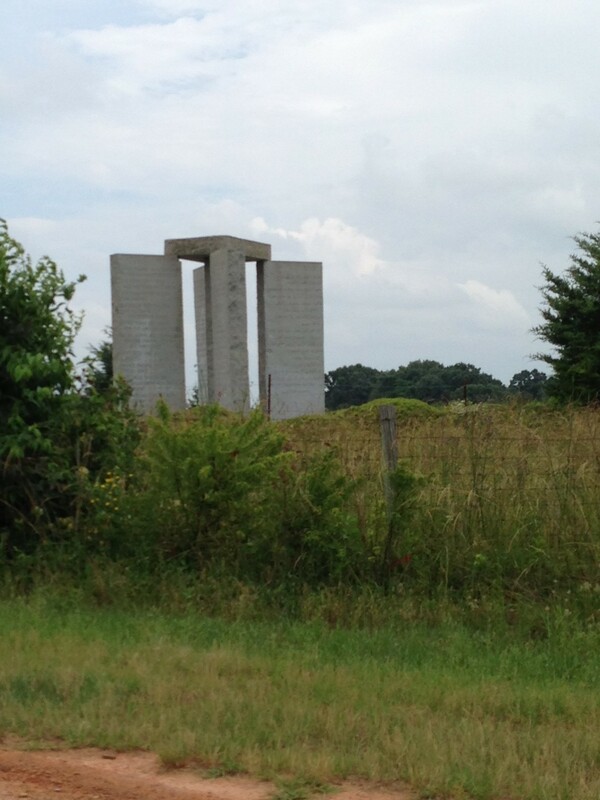 My son and daughter-in-law saw something about the Georgia Guidestones on MythBusters, and decided that before they move out of Georgia, they ought to go see it. Sometimes called the ‘American Stonehenge,’ this was even more disappointing than Plymouth Rock an an insult to the real Stonehenge. I’m not sure what the Anonymous builder had in mind, other than to promote the Georgia granite that is mined in the area. In fact, the anonymous creator of this, using the pseudonym R.C. Christian, hired the nearby Elberton Granite company to erect it. Need I say more? 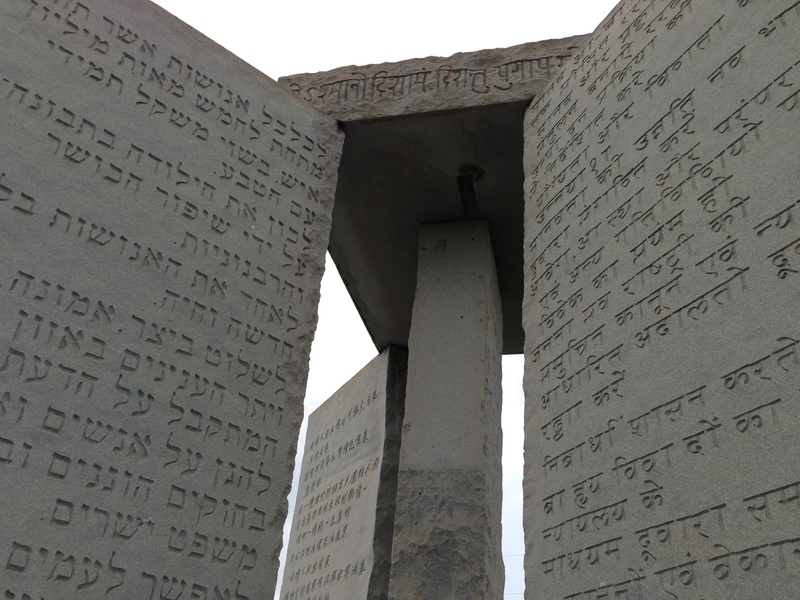 The four slabs contain 10 ‘guidestone messages’ written in English, Swahili, Hindu, Hebrew, Arabic, Spanish, Chinese and Russian. The messages are about peace, global sustainability, etc., etc. I think it’s supposed to be inspirational. It’s not. 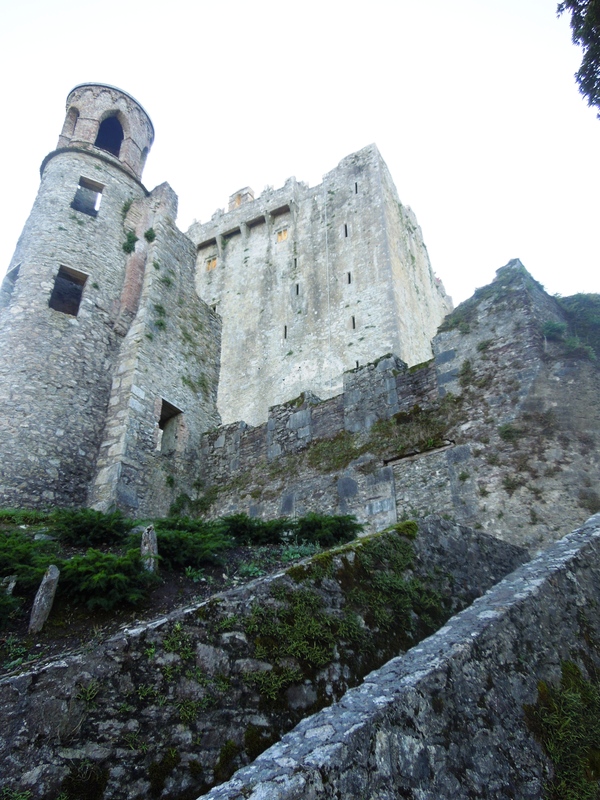 This is the Blarney Castle. For a picture of the Stone, please see my previous post. These pictures were taken pre-digital cameras. They’d be so much better now. 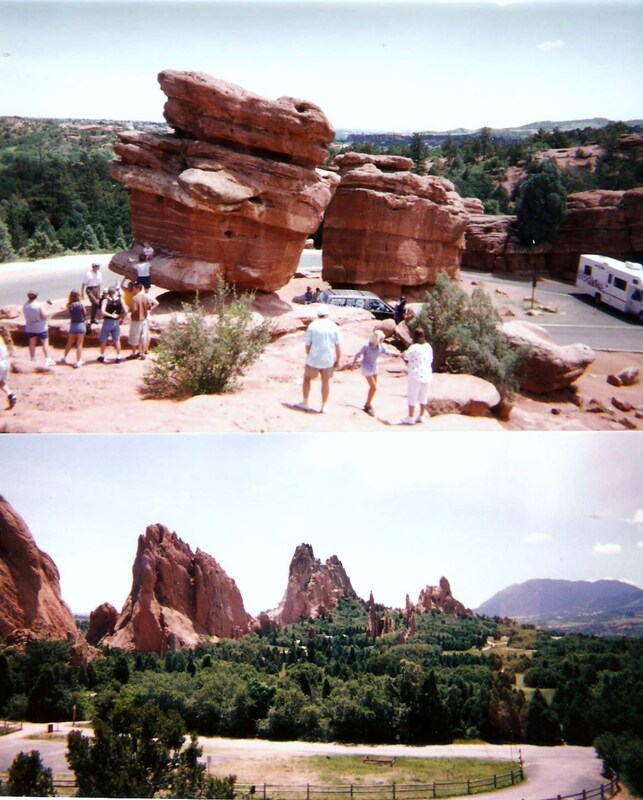 These red rocks of Colorado Springs, Colorado are well worth the trip. Some contain petroglyphs believed to be traced to the Utes and other Indian tribes that inhabited the area. The drive through the Garden of the Gods is so scenic that you are compelled to pull over time after time to get out and take pictures of the unusual rock formations (wish I had better pictures to share) that look like a cross between sand sculptures and balanced boulders atop spindly rocks that Wiley Coyote might knock over to drop onto the Roadrunner. It’s been years since I visited. I’d like to go back. What rocks would you stack up against these? Good tips on whether or not to see these and your post is great! I seem to use stones and rocks interchangeably. I wondered if anyone would mention the Rosetta Stone. I definitely think that counts here. Even Mt. Rushmore? Boy, guess I need to head to England, then. you’ve curated a surprising gallery for this topic! This is great. My first thought upon seeing your picture of the Georgia Guidestones was, “I sure hope it’s not a cheap imitation of Stonehenge…” Alas, it seems like that was exactly the case. I still haven’t been out to see the real Stonehenge yet but it’ll happen soon. At least I’ve seen the Rosetta Stone at the British Museum (which I think can also count as a rock? 😉 ). The Rosetta Stone definitely counts. Would you believe we drove for hours to see the Georgia Guidestones? The only redeeming thing about that trip was that we had great conversations in the car on the way there and back. Interesting! Like you I’m sorta not convinced by the Plymouth Rock. Stonehenge, for all its mystery, is a disappointment to see after all the anticipation. I’ll go for the Stone of Destiny at the Hill of Tara in Meath where the ancient High Kings of Ireland were crowned. I feel so unpatriotic saying that about Plymouth Rock, but it was unconvincing. The Stone of Destiny sounds magnificent. Definitely a stone to add to the list. OMG your Stonehenge really cracked me up. I’n now thinking of building one in my back yard and charging entry. Wonderful various stone images. The Garden of the Gods is gorgeous! Thanks, Amy. I wish I’d had a digital camera back then. I need to go back and take more time exploring and trying to capture the beauty of it. Mount Rushmore was breathtaking. We had the good fortune to be there on the 4th of July. An orchestra played a concert of patriotic tunes while the sun set behind the rock face. It was wonderful. 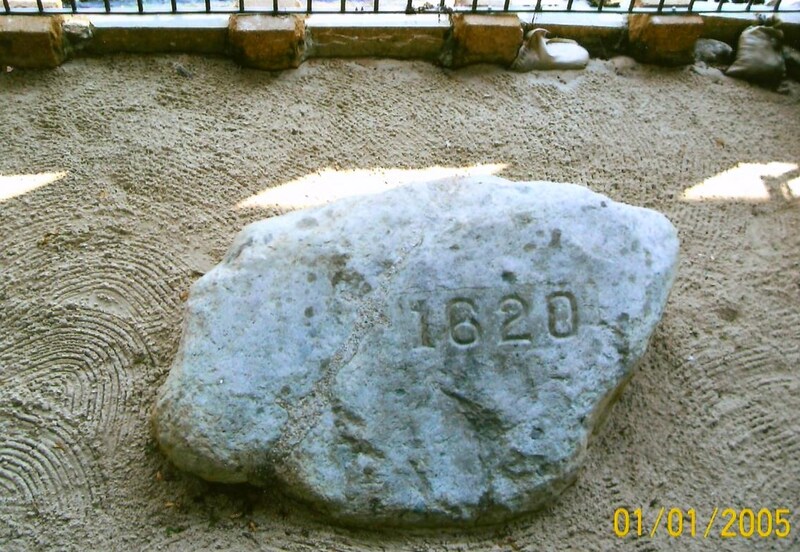 The Plymouth Rock thing? The elementary school version of myself just died inside. What a crock! I hate being negative about it, but Plymouth Rock was so disappointing. Just my opinion, but those two top my list.